Category: CUSTOM ORDER Movie Hats. 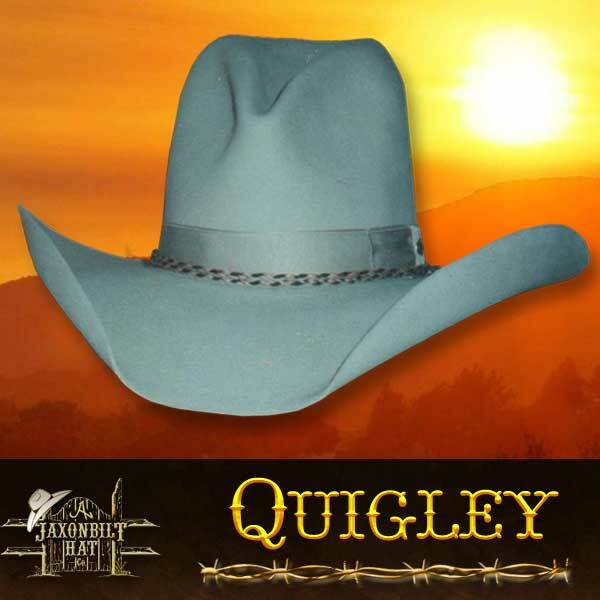 This Quigley movie hat is a style made famous by the movie. This hat really has great lines. Made in a good dependable quality, genuine fur felt to 100% pure beaver. 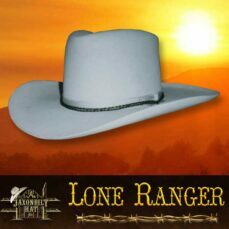 The hat pictured is trimmed with a wide crown ribbon and added horsehair stampede string. Silk lined. 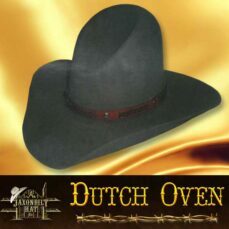 This hat can also be ordered with a “movie style” crown band.